Reverend Linville J. Hall was born in 1822 in Massachusetts. He was a "'49'er" in California. Reverend Hall was licensed to preach in 1853 and became chaplain of the Connecticut State Prison in 1896. He preached in Colorado for 23 years. from Christian Day Rev. 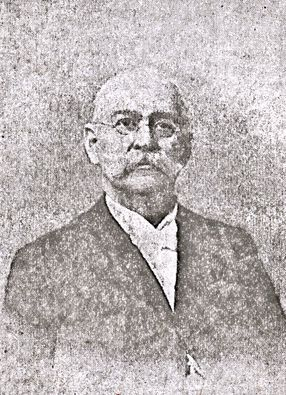 : In 1887, Reverend L. J. Hall, who was pastor of the Methodist Church, was appointed Chaplain of the Penitentiary which he filled until July 1896 when he resigned to accept Chaplaincy of the Connecticut State Prison.